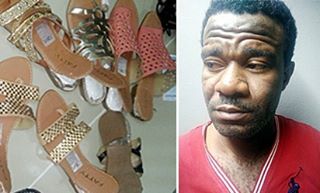 NDLEA discovers £3.8 million (N1.9 billion) cocaine inside shoes at the Abuja airport. 34-year-old motorcycle parts dealer, Okolo Emenike, who hails from Ezeagu, Enugu State, was arrested in connection with the drug. He said that he was offered the sum of one million naira to smuggle the drugs to Nigeria. The substance, weighing 9.15kg, was concealed inside soles of shoes and was discovered in a shipment of shoes during inward screening of passengers on a Turkish Airline flight from Sao Paulo, Brazil.